If you'd like to receive press copy of Neighborhorde, please fill out this form. 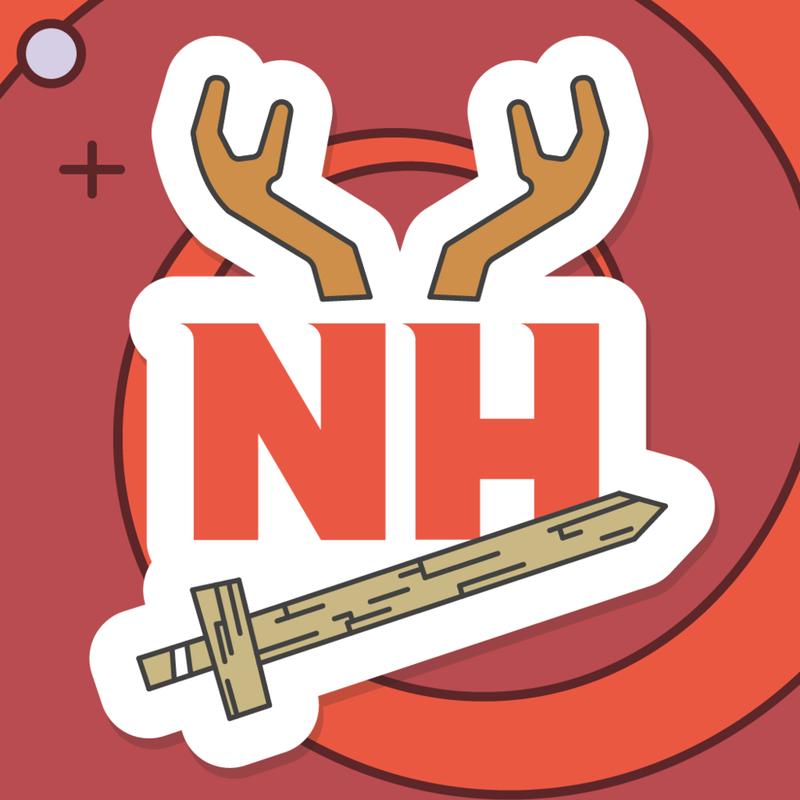 What platform would you like a Neighborhorde key for? 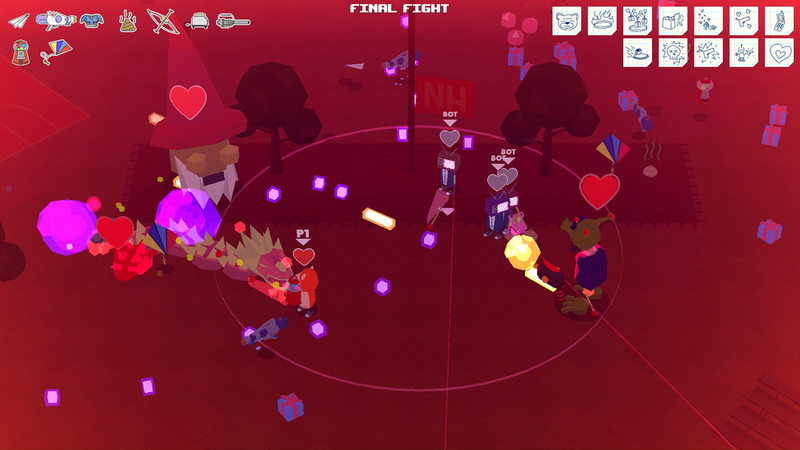 NEIGHBORHORDE is a couch co-op shoot-em-up where you have to work together to beat the bad guys before bedtime. 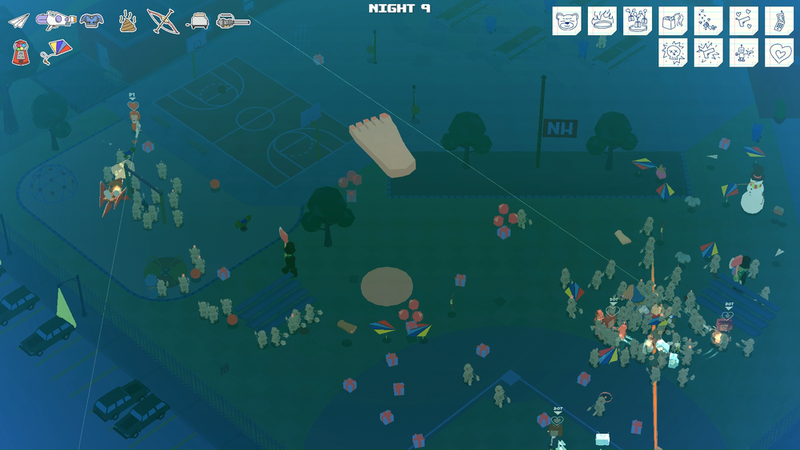 NEIGHBORHORDE is a couch co-op shoot-em-up where you and your team of friends use toys as weapons and game-changing superpowers to try to survive the attacks of evil robots and zombie Abe Lincolns. You and your pals are playing too many videogames, and Mom said it’s time to go outside for a bit. Little does she know the dangers spawning outside in Neighborville. Portals open up from another dimension. Evil robots, dragons, wizards, and zombie Abe Lincoln burst out from these portals and start attacking you and your pals! Luckily, you have your trusty wooden sword and your pal saved some bottlerockets from 4th of July. How is that going to help? Use your imagination, kid! Each night you'll unlock more of the 40+ crazy toys to add to your arsenal and become a more powerful team by choosing from 40+ game-changing superpowers. 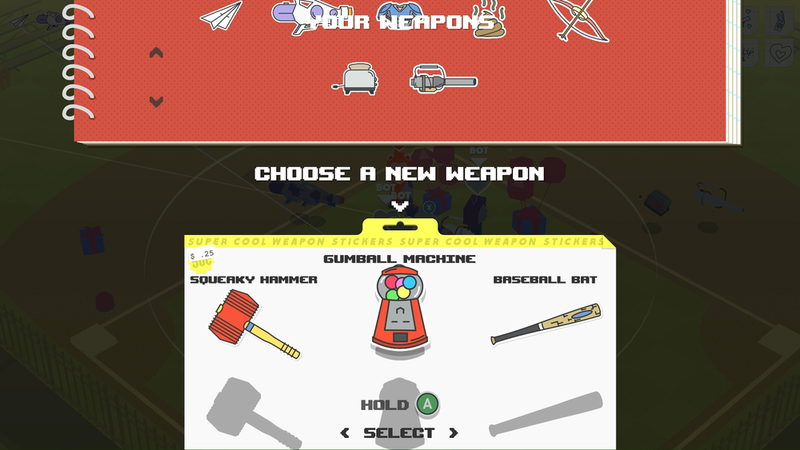 Break open presents found around the map to find the rad weapons you've chosen. Dash around as flames blast out from your feet with the new "Hot Feet" superpower you just picked. You think to yourself, "No baddie can stop me now!" However, as you get stronger, so does the horde of spooky enemies. Each night you'll face a randomly-selected but ever-increasing combination of enemies including goop-tossing Lunch Ladies, magic-blasting Wizards, and axe-wielding Abe Lincolns. As you're bashed apart by the onslaught of baddies, you realize the only way to survive is the power of friendship; staying close to your team in the FRIENDZONE is the only way you'll regain your health. Since there are 80+ weapons and superpowers, and tons of enemies, no game is the same as the last and you’ll always have a new strategy to try. Blast bottle rockets at evil dodgeballs. Blow a bubble-gum-shield to protect your team. Catch the incoming robots on fire with your hair dryer flamethrower. Smash a wizard's face off with your trusty wooden sword. 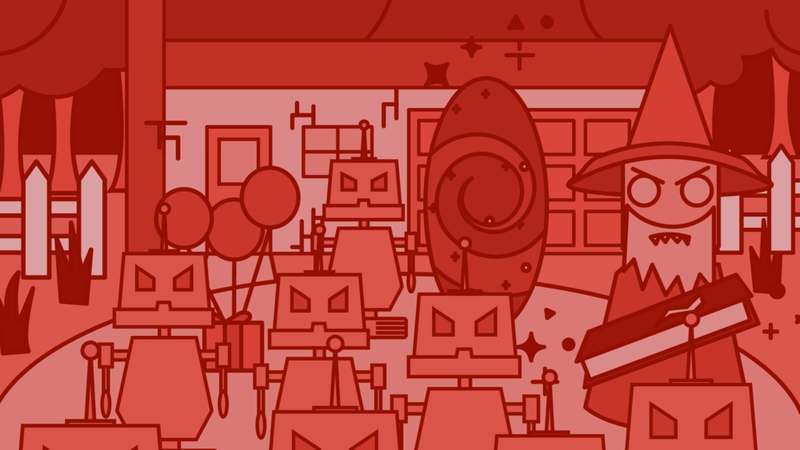 Can you defeat the bad guys before bedtime? Don’t get grounded! Local couch co-op survival action with 1-4 players. Play with friendly AI you while you wait for friends. The first FRIENDZONE you’ll actually want to be in. Tons of spooky enemies: Fight to survive against waves of enemies from your imagination like zombie Abe Lincoln or your school’s creepy lunch lady. Boss fights too! Because Fermenter is a team of friends, our goal was to make a game that had to be played together, on the same couch, and made you work together. 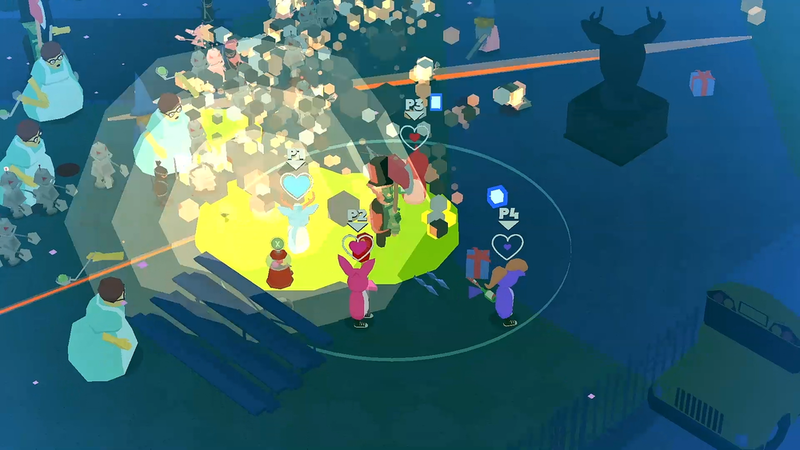 Neighborhorde is just that; a game made for us and friends like us. 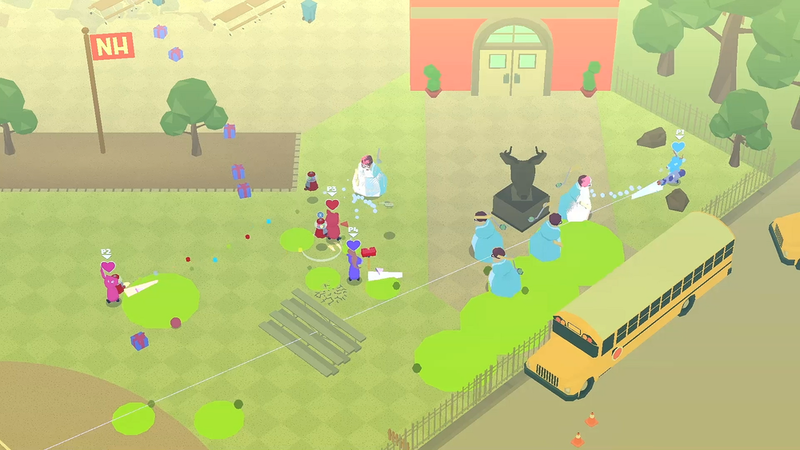 Andrew developed a huge portion of Neighborhorde in the backseat of the drive to and from GDC 2015. Since then, we've all played and developed the game together into what it is today. It's been shown on many occasions at Dallas Society of Play events, and was showcased alongside a few fellow DSOP developers at PAX South 2016. Inspired by Calvin and Hobbes, Ed Edd & Eddy, and our own childhood experiences, Neighborhorde aims to capture those countless hours spent imagining action movie scenarios. Fermenter allows for the contents of Neighborhorde to be published through video broadcasting services for any commercial or non-commercial purposes. Monetization of videos created containing assets from Neighborhorde is legally & explicitly allowed by Fermenter. If you have any questions, don't hesitate to send em to us. We're also available for interview.